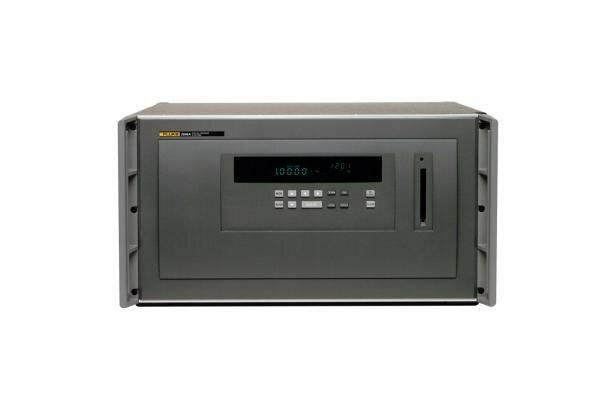 With the Fluke 2680A and the 2686A, you can seamlessly expand your system from 20 to more than 2,000 channels just by adding modules and chassis. Both models feature six slots in each chassis that you can fill with modules as needed to meet your application requirements. Five slots in each chassis are available for any combination of 20-channel analog input modules. The sixth slot is also available for a digital I/O relay module to add control capabilities to your system. If you don't need the sixth slot for control, you can plug in an additional analog input module, increasing your input channel count to 120 in one chassis. Fluke's patented Universal Input Module is a special connector that is included with Fluke data acquisition products, providing unparalleled thermocouple accuracy and compatibility with a broad range of diverse inputs. The signal conditioning built into Fluke data acquisition products enables you to easily measure just about any electrical or physical parameter without changing hardware or adding external signal conditioning. You can connect any combination of dc voltage, ac voltage, thermocouples, current, RTD, resistance (2- or 4-wire) or frequency measurement inputs directly to the Universal Input Module. Math functions In addition to its analog and digital input channels, each system supports 60 computed channels. Calculations include: time & rate, addition, subtraction, multiplication, division, log, natural log, exponent, square root, absolute value, integer function and average.